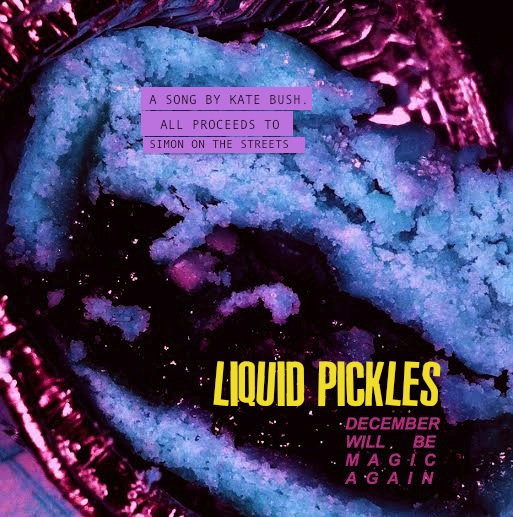 Liquid Pickles was formed in Leeds (UK) and consists of James A. Smith, Grant K. Fennell and Rob Slater. In December 2013 they released a cover version of December Will Be Magic Again. All the proceeds of the track were donated to the West Yorkshire charity 'Simon On The Streets'. Liquid Pickles. Facebook, retrieved 9 October 2018.